Lately my cooking has been batch cooking and I hope to post more about that sometime soon, but my track record hasn’t been amazing for that lately! 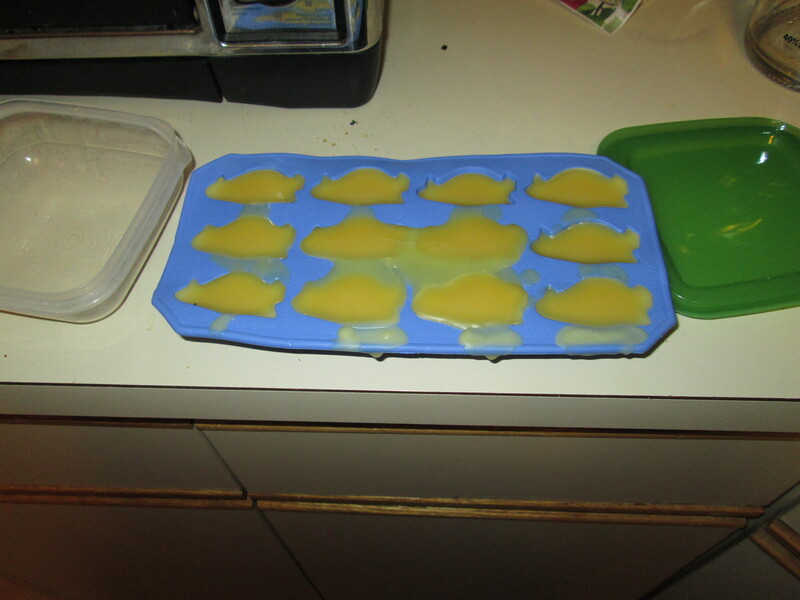 I really wanted to post about how to make some natural lotion bars that are mostly food! Don’t get me wrong, I don’t really recommend eating them. However, most of this stuff can double in the kitchen for food production as well. I found my favorite recipe on DIYNatural. The reasons I chose this recipe include that the measurements are easy to follow, I could easily find the ingredients, it didn’t require so many ingredients that it became a huge monetary investment. I found most of these things at Rebecca’s Apothecary in town. I can also find a lot of it at Sprouts, but I find the shea butter to be extremely overpriced there and I have trouble getting a significant amount. A good online store is Mountain Rose Herbs. 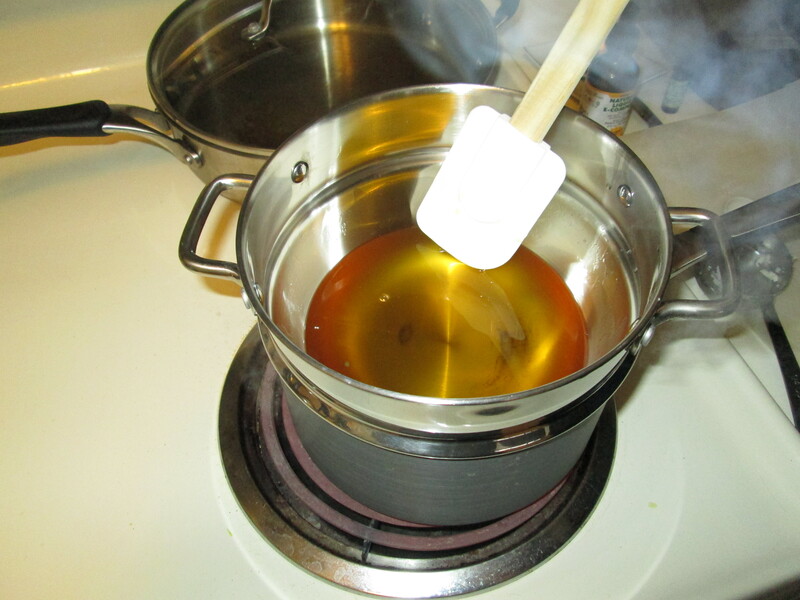 Combine everything except beeswax, vitamin E and essential oils in a double boiler and melt it. I think this would also be fine over low heat in a thick bottomed pot. You just want to melt it together, not burn or boil. 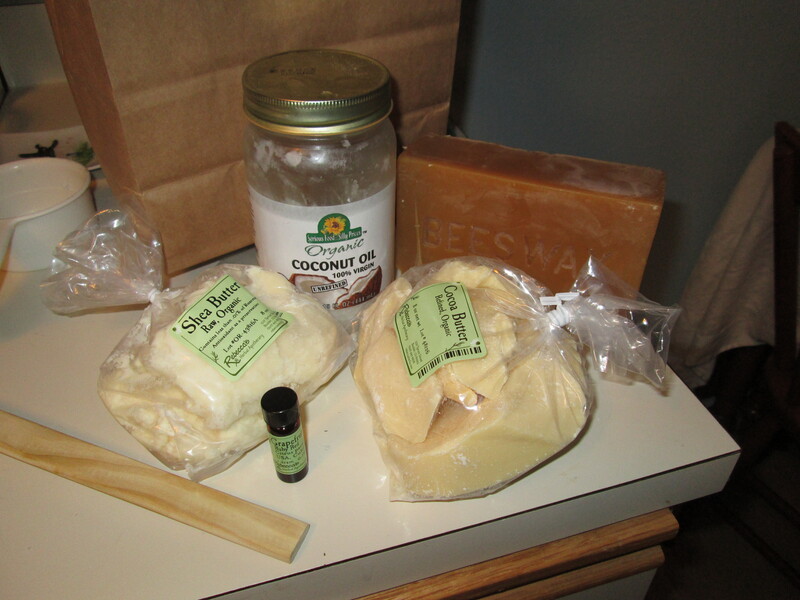 Once it is all melted (the cocoa butter seems to take the longest), take it off the heat. You can add the vitamin E, essential oils, and zinc oxide. This is a batch without zinc oxide. The zinc oxide will cloud the mixture and make it turn white-ish. So, each of these subsequent steps would look more white and more clouded with zinc oxide. Pour into your desired molds. I’ve used a silicone penguin ice cube tray. If you use zinc oxide, don’t hold out hope of ever using a silicone mold again for anything. However, if you don’t use the zinc oxide, it should be fine! I am planning on making this in muffin tins soon, so I’ll let you know how that goes. You definitely want to use something that you can easily pop it out of. Silicone is great. If you use muffin tins, it may be a good idea to use liners. Cool and then store. If you want these to cool quickly, you can pop them in the freezer. 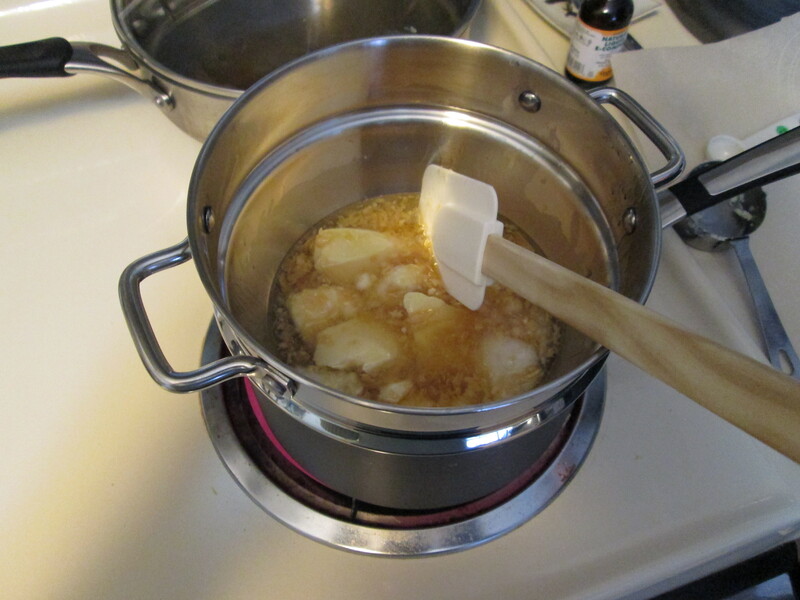 (This also helps if you have grated your own beeswax and given up before 3/4 cup and desperately want to avoid grating more beeswax–see pro tip below). If you’re unhappy with the consistency, you can remelt this and add either more coconut oil to soften it or more beeswax to create a harder bar. These last a long time! I made some in January that I just finished using in September and they were still fine. I use them all over my body. They can feel a bit greasier than some lotions, but I don’t mind and I find it does wonders for my skin! If you choose to use zinc oxide, I would recommend seeing how you feel with one tablespoon. I tried three in my last batch and it feels very sticky on my skin. However, it’s perfect for compete protection in the bright summer sun here in the thin air! I used one in the first batch I made with sunscreen and it feels great this way. However, I found it wasn’t working perfectly for me on my long hikes as it became sunnier last spring. One thing I would recommend: buy the beeswax pastilles! Get them! Order them online if you have to! Committing yourself to grating this much beeswax is awful. It takes forever, your grater becomes covered in wax. It’s just a huge mess overall. 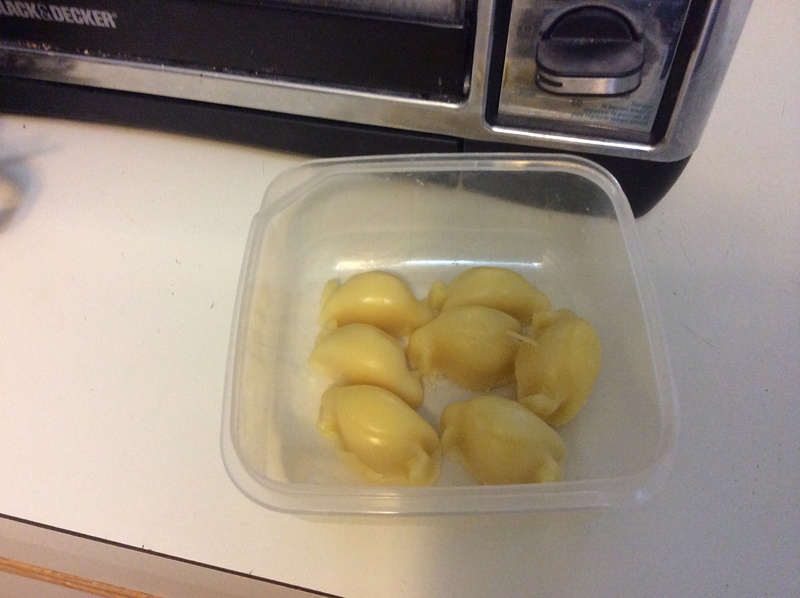 If you do decide to buy a block of beeswax, as I so naively did, you can use boiled water to get the wax off of your grater and anything else that it may have gotten all over. By the way, that block of beeswax you bought? It’s going to last forever. I love your comment about the block of beeswax! I will not make that mistake!